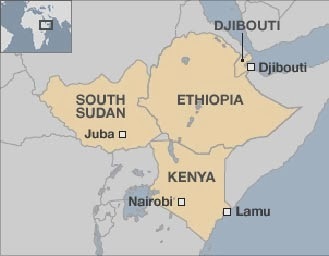 The Lamu Port, South Sudan, Ethiopia Transport Corridor was officially launched in 2012 by the former President of Kenya Mwai Kibaki, current President of South Sudan Salva Kiir and Ethiopia’s late Prime Minister Meles Zenawi. Its main aim is to increase income in the region, as well as lower the congestion at the Port of Mombasa which is vital for the economies of all countries involved. Along the corridor –which is estimated to cost $300 billion- will include railway links, three international airports, new roads, the new Lamu port, three ‘resort’ cities, and possible oil pipeline together with an oil refinery. The main strength of the project is probably the potential. If successfully completed it could completely change the face of the whole East Africa. Everyone on the continent and around the world knows that. As a result the World Bank has already provided partial funding; South Korea, Qatar, Brazil, South Africa, USAID and Grow Africa Investment Forum have also expressed immense investment interest in the project. It is highly unlikely that all of these groups would want to be involved unless they saw massive potential for success and more importantly profit. Additionally the project would open jobs to the hundreds of thousands that remain unemployed along the route of the corridor, which is always a plus. Indeed Africa is growing, but those at the bottom of the society continue to remain in complete poverty and this project has the potential to change that. The biggest weakness of LAPSSET ironically lies with the foreign interest. To say that the foreign (non-African) parties involved do not expect to benefit from the project would be ignorant; they are not doing this simply for good will. How far will these benefits go? Already a Chinese construction company has been awarded the tender for the port and majority of the roads, what of the African construction companies? Moreover once completed which goods or rather whose goods will be transported along the corridor? Will it become a market place for foreign parties to come and sell their goods to Africans, or will it become a platform for African goods to reach a wider consumer base? Besides all of this there is the issue of instability in the region. With South Sudan currently on the brink of civil war and political tensions remain high in Kenya it is anyone’s guess if violence will interrupt this grand project. 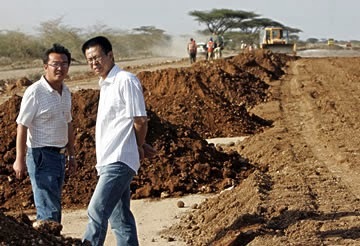 It goes without saying this is an ambitious project, one that could change the fortunes of the Horn of Africa forever. However the governments of these respective countries need to keep the advantages of its completion absolutely African.